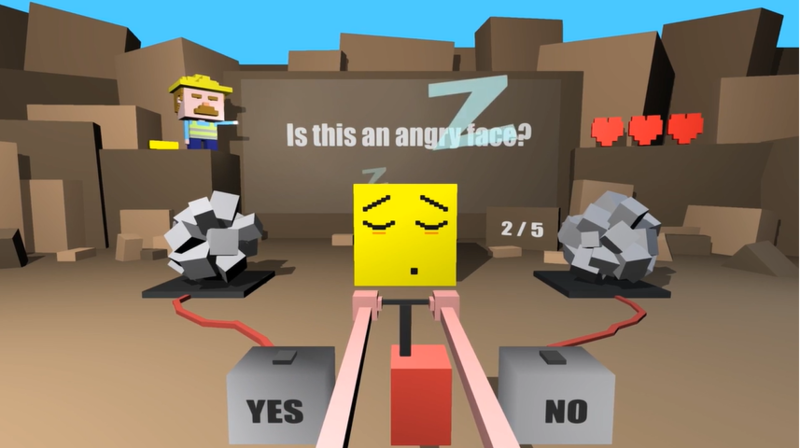 “Quarry Bam” is a game for teaching a child to communicate by coordinating physical movements according to language, gesture and posture questions. It aims at increasing a child’s attention to Yes/No questions about emotions/feelings, spatial orientation of shapes as well as math operations and properties (distributive and associative). Coordinating physical movements according to language, gesture and posture questions. The child needs to make hand symmetrical movements for moving the lever and putting it at the correct box that will sparkle an explosion while promoting bilateral coordination.